Spice Kitchen Incubator reboots lives, generating new must-try dishes. As the old saying goes, teaching a person how to fish trumps donating a fish any day. Spice Kitchen Incubator, a program by the International Rescue Committee and Salt Lake County, fully epitomizes this adage. The premise is simple: help refugees, immigrants and other low-income individuals launch fresh professional starts in the U.S. through culinary businesses. The results are unimaginably complex: 31 businesses and counting specializing in cuisines from Burma to Somalia. Established in 2013, Spice Kitchen based its concept on La Cocina, a decade-old, groundbreaking low-income food incubator in San Francisco. Spice Kitchen guides its entrepreneurs from business development to self-sufficient operations over the course of about five years. The “spice girls”—as several entrepreneurs have nicknamed the currently all-female staff—provide free consulting, training, menu development, marketing assistance and more, as well as subsidized commercial kitchen rental. 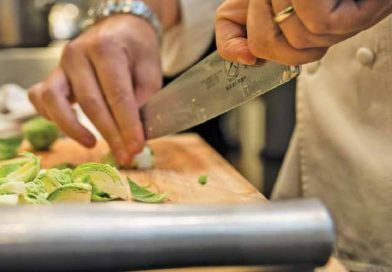 The program is only three years old, yet success stories already abound, seasoned by the cuisines of 20 regions. Husband-and-wife team Donovan and Teresa Tompson—owners of Jamaica’s Kitchen—just walked away from the state fair aglow with the sense that they’re finally living a long-held professional dream. 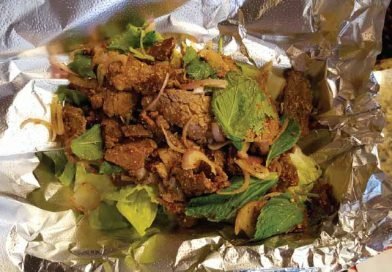 Formerly a chef in Damascus and proud new owner of a shawarma machine, Nour Eddin Abdul Bari wins over Utahns at events with his clever and delicious East Meets West dish, which unites flavors from his old home and his new. Four Iraqi businesses also complement Spice Kitchen’s roster, including high-end caterer Olives & Thyme and the comfort food-driven Sadiya, which makes what the spice girls refer to as “magic cake”: chocolate coffee cake layered with dreamy custard and coconut. 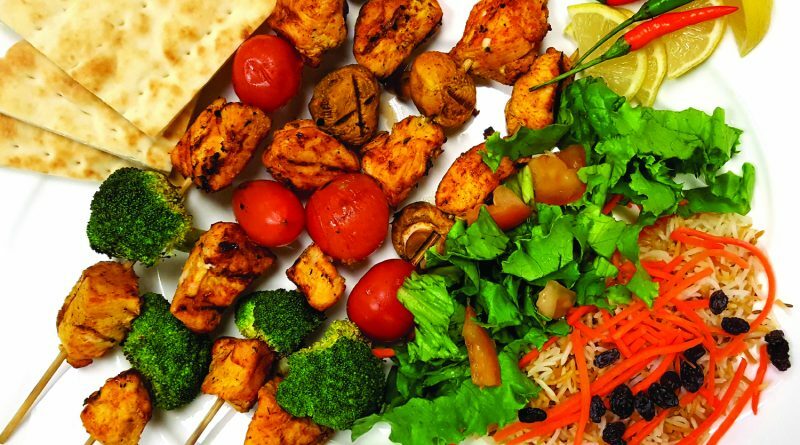 Recently, Spice Kitchen reached a big milestone: its first brick-and-mortar business. We stopped by the new restaurant and the Spice Kitchen space to meet some of Salt Lake’s newest rising culinary stars. Here are a few of their stories, as well as how you can get a taste of their dishes and give back all in one fell swoop. 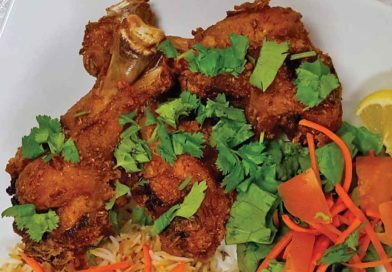 To reassure yourself that the American Dream is still alive and well, all you need to do is enjoy a meal at Laan Na Thai in downtown Salt Lake City. Owner Yupin Chareon’s odds-defying life story begins in northeastern Thailand. 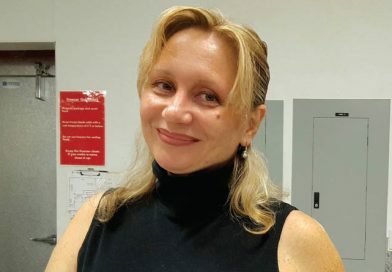 At age 12, she quit school to work in the sugar cane fields and help transition her mother’s modest food business from one she literally carried on her back—noodles in one basket, sweets in the other—to a food cart. After marrying and having a child, Yupin and her husband Wichai decided to begin to plant roots in the U.S. “I didn’t want my daughter to have a hard life like I have,” Yupin explains. In 2004, Wichai journeyed to Washington to work in apple orchards on a worker’s visa. After several setbacks with employment availability, Yupin and their daughter were finally able to join him, settling in Salt Lake City in 2009. Eventually, Yupin found work with Ekamai Thai, and for more than five years, she more or less served as the restaurant’s chef and public face. Yupin’s new life was going well until she received news as unexpected as it was devastating: Ekamai’s owners were moving back to Thailand and closing the business. Yupin held back tears as she wondered why all of the good karma she’d been building up had resulted in such a blow. It was at that moment that exactly the right person walked in to place her regular order (drunken noodles with tofu): Grace Henley, Spice Kitchen’s food entrepreneurship program manager. Grace sensed something was off with the usually chipper Yupin. When she learned what had happened, she offered to help in what she describes as “one of the most beautiful moments” in her career. Just over half a year later, on Oct.14, 2016, Yupin and Wichai replaced Ekamai and its intimate space on 300 South with their own concept: Laan Na. The larger menu features signature dishes like kuay tean (noodle soup)—a long-simmered oxtail broth aswim with masterfully handcrafted noodles—and the spicy, addictive som tum (papaya salad). Must-try dish: nam tok (beef salad). Like the Papaya Salad, this boldly built dish is characteristic of the Chareons’ native northeastern Thailand. Yupin sautées flank steak strips with shallots, fish sauce, lime juice, cilantro, green onion and roasted Thai chilis. Served with crisp romaine and sticky rice as neutral counterpoints, this dish floors with flavor from the first bite. Five years ago, Hayat Stoman couldn’t cook an egg. Today, he whips up Afghan fried drumsticks so good they make us question the American South’s identity as fried chicken H.Q. A culinary transformation as profound as this stemmed from necessity, but it’s now a thing of passion fueled by a mission: “To introduce people to good, healthy food and share a positive picture of Afghanistan,” Stoman says. In America, he found no cultural stigmas against men cooking, and so he began to learn his way around the kitchen from his mother-in-law. “She’s the best cook,” he says, before joking that now he’s surpassed her in cooking prowess. 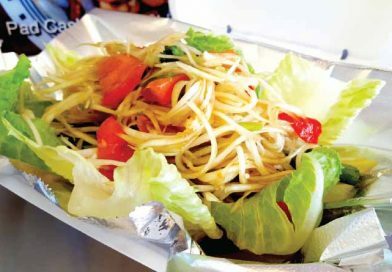 In 2012, he debuted his food cart, Afghan Grill, staging out of various locations downtown. Soon after, he changed the name of his cart to Hayat’s Grill after receiving prejudiced comments, and business boomed. But in 2014, Stoman developed a kidney problem and could no longer lift heavy objects, including the nearly 600-pound cart. Just when he thought he’d be sent back to the professional drawing board again, he discovered Spice Kitchen at World Refugee Day and rekindled his ambition for a successful food business. 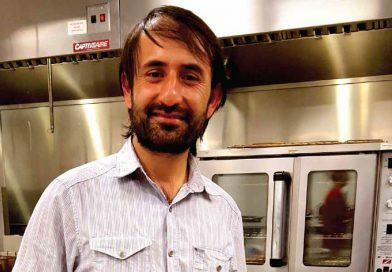 Ultimately, Stoman hopes to establish his own Afghan restaurant in Salt Lake, and transport his guests to his home country through ambience and flavor. It will be a place of authentic dishes and connections alike, as Stoman plans to have guests check phones at the door to foster good conversation. Must-try dish: After marveling over the superiority of Afghan fried chicken, try the bolani—tortilla-esque dough stuffed with seasoned potatoes, pan-fried and dipped in Stoman’s spicy cilantro-pepper chutney. Sometimes the simplest dishes make the best food concepts. In Karine Mnatsakanyan’s case, she envisions endless potential in the humble baked potato. Mnatsakanyan grew up in Armenia and spent a decade in Moscow before immigrating to the U.S. in 2011. In her two former homes, the baked potato serves as both a staple and canvas for brilliant topping combinations. Today, Mnatsakanyan is turning Utahns on to this nourishing culinary tradition with toppings that run the gamut from lox-laden cream cheese to sautéed mushrooms. “The concept is healthy fast food, replacing all the hamburgers,” she says. She hopes to soon expand beyond her niche of smaller events and farmers markets to sell her spuds out of a permanent kiosk housed at the University of Utah, where she believes palates are more adventurous. No matter where her business takes her, she is ever grateful for the help of the spice girls. Must-try dish: The Eggplant Spud is both the most popular and one of the most authentic items on Mnatsakanyan’s Eastern Europe-inspired potato menu. You can find Spice Kitchen businesses at events around town (listed online), including the SLC Downtown Farmers Market and Rio Grande Winter Market. One of the best ways to taste and support Spice Kitchen is to make use of their catering services, which the spice girls coordinate. Kick off the new year with Bhutanese momo dumplings, or resolve to introduce your colleagues to Venezuelan cuisine in 2017 with a catered lunch of cheese bunuelos and arepas. ← What Are the Kitchen Kids Up To?